The 2014 Moogly Afghan Crochet-a-Long: Block #24! This is the end… (cue 1970’s thunder…) … of the 2014 Moogly Afghan CAL! 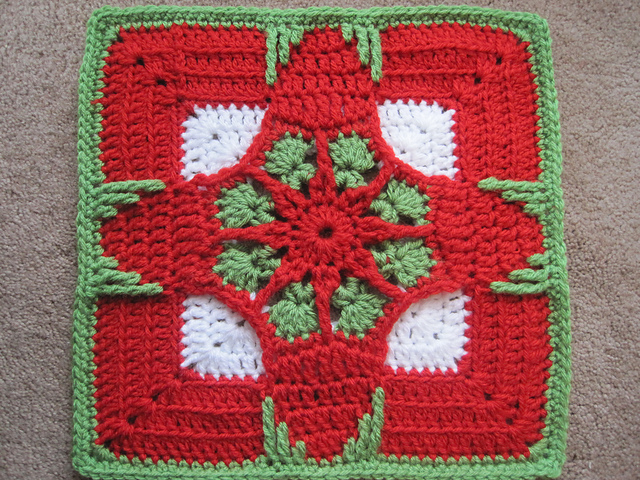 Except not, because while this IS the last square for the year, we’ve got joining and borders and showing off left to do! 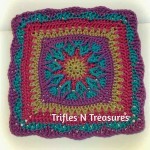 So I’m giving you this square a day early, so you can have the long holiday weekend to work on it. (And because I’m taking tomorrow off to cook for 25 people!) 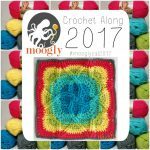 But if this is the first you’ve heard of the 2014 Moogly Afghan Crochet-a-Long, then start HERE to read how it works – and plan on joining in next year! I’ll be announcing the plans for the 2015 CAL in December so we all have time to plan! November 26th – THIS POST! We’re done! Above is the original, made with 3 colors. 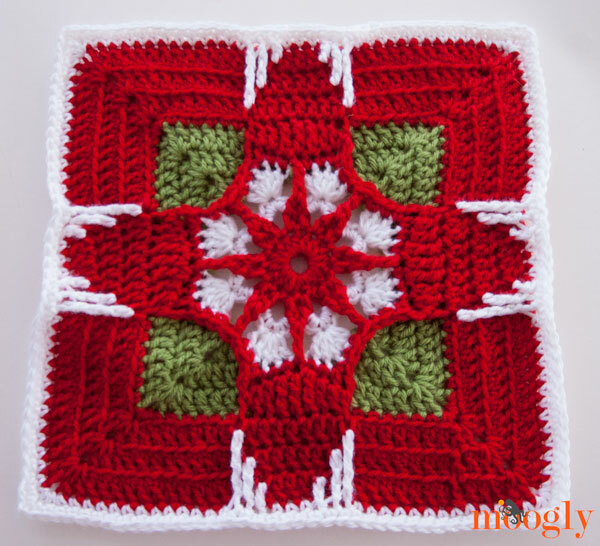 I love the look of this square, and how it all come together – which is a lot quicker than you might think! Below is mine, made with the same 3 colors. 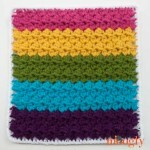 I stuck with the holiday theme, but if you check out the Ravelry gallery, there’s lots of color inspiration to be had! First of all, please note that this pattern will only be free through December 31st of this year. So if you’re behind and hoping to catch up in 2015, print or download it now! This pattern is really well written, and the only change I made was to start with a magic circle instead of a ch 4 ring, but that’s just personal preference. I would recommend using a blank paper over the pattern to help you keep your place – or ticking off rows as you go. And of course, measure your work as you get to the last couple of rounds. Mine turned out to be exactly 12 inches – but everyone is different! I did find that this square needed some strong blocking – to help alleviate this a bit, make sure your tall sts in Round 13 are nice and tall. But then don’t be afraid to use a blocking board and even a bit of steam to get it to square. I followed the color changes exactly as written – they actually call for white in the last round, although the original photo shows green. If it isn’t your thing, you can find a list of alternate free squares patterns by clicking HERE as well as a list of fantastic paid squares patterns by clicking HERE! Thanks so much for crocheting-a-long with me! It’s been so much fun, and I can’t wait to see how everyone’s afghans turn out! I’ll be trying to set something up here on the blog so everyone who wants to can show off their finished blankets, and I’ll have some edging ideas for you next week! And by the end of December I’ll share the plans for 2015! Get Moogly on your favorite social media sites: Facebook, Twitter, G+, Pinterest and Tumblr, and sign up for the Newsletter so you don’t miss a thing! Moogly is on Instagram now too! The 2015 Moogly Afghan Crochet-Along: Block #2! The 2015 Moogly Afghan CAL: Block #18! I like doing a reverse double crotchet around the edges. Experiment going backwards skipping two stitches between each stitch. Email me if you need exact instructions. <3 Wow, thank you so much Andria! I just wanted you to know how much I appreciate all your efforts and kindness. I made the Sven sweater (or my version of it) for a little boy whose mom had a very difficult pregnancy. I’ve been in a position of need before and love to pay it forward whenever I can. If I can figure out how to do it I’ll send you a picture of the sweaterI took of it in my car before I delivered it (forgot to do it at home). Anyway, I just wanted you to know how much I love your site and creativity. You are a blessing to everyone. 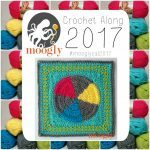 I am new to Moogly and I love the Moogly Cal 2014 patterns! Is there anywhere that all are available for one price as a pdf download? Thank you for your help! Hi Nancy! I’m afraid that since they’re all from different designers, I can’t offer them as such. Thank you though! Hi all, I started this blog and got about half way through but am now missing the PDF’s for blocks 2 and 13 if anyone has them as they are now $1.99 on Ravelry 🙁 It would be much appreciated so that I can finish the afghan for my in laws for their 25th wedding anniversary in February.